This entry was posted in "Four legs good", Favorite Perfumes, Not a Review, Perfume News, Single Note Exploration and tagged April Aromatics, French Lime Blossom, Jo Malone, Linden, Unter den Linden. Bookmark the permalink. Having favorites is a great thing, especially if you’ve been searching for them for so long. And then in case of perfumes we’re all later reminded that scent is a fleeting beauty, so I’m sad to hear one of your great lindens has been discontinued and that other one might be starting to turn bad and is too expensive to buy it again. I wonder if it’s possible to find new favorite perfume with the same main note once something you love is gone forever? That’s true. If my favorite iris was discontinued I would try to search for new one. Do you still consider buying Brosseau The Poudre? I remember you said you really liked mimosa in it. I have a partial bottle of Tauer Zeta in the fridge, hoping that will keep it from going off too quickly (it is discontinued as well). Usually I put my creams, naturals and oils in the fridge, hoping to stave off spoilage. I didn’t grow up around linden trees so it’s not a scent that evokes memories for me, however I do like Jo Malone Lime Blossom very much. I didn’t know it had been discontinued. I had a sad awakening with some of my naturals. I had some older samples that I never fully tested and which had certainly not been inexpensive. When I finally drug them out of the drawer the other day they were all dried up, nothing left there to test. There’s a lesson there for me I guess. With samples and even decants I almost expect to loose them in a while. But I wasn’t prepared that a real bottle might start spoiling that quickly. Though now, after I used it a couple of times it seems to be better, so maybe it was just a portion in the spraying mechanism that got slightly off. Very timely post. A couple of weeks ago, I talked about the linden fragrance in the air when the trees blossomed in Montreal. 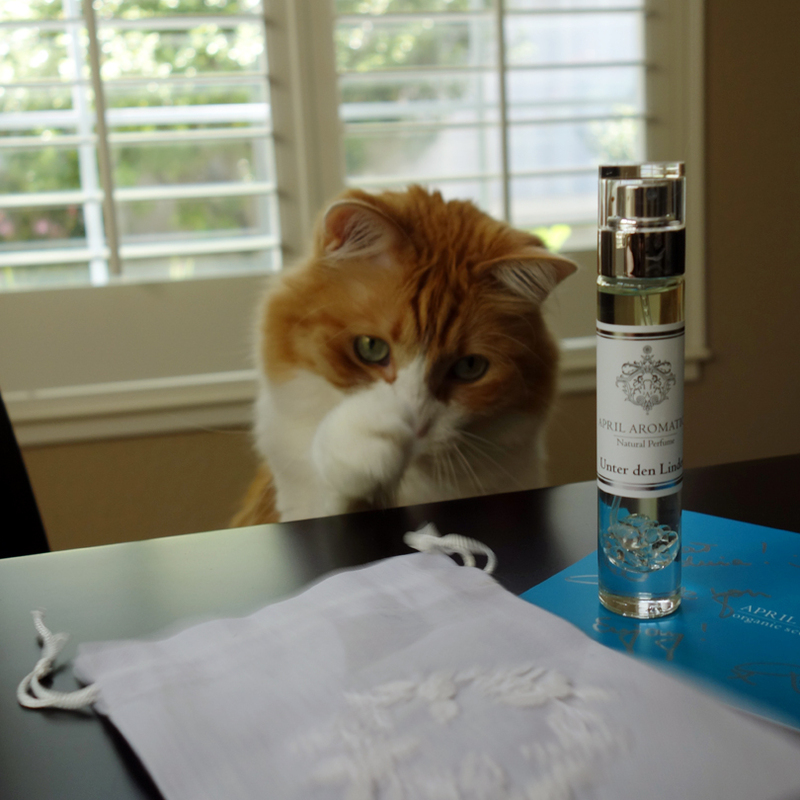 A friend asked me what was the best linden perfume… and I didn’t know what to say! It threw me. We have a Jo Malone store in Montreal… maybe they have some leftover stock. When does it usually happen? Maybe I can plan my visit to Montreal when linden blossoms. As to French Lime Blossom, I think you might have better luck if there are any department stores that carry this line. Well… it usually happens late June, early July. I was mistaken a couple of weeks ago. I’m not sure what that fragrance was! I was corrected by a friend who is a regular reader of yours… Tara C.
I went for a long bike ride today and the urban part took me through a fragrant tunnel of lime trees, so I thought of you. 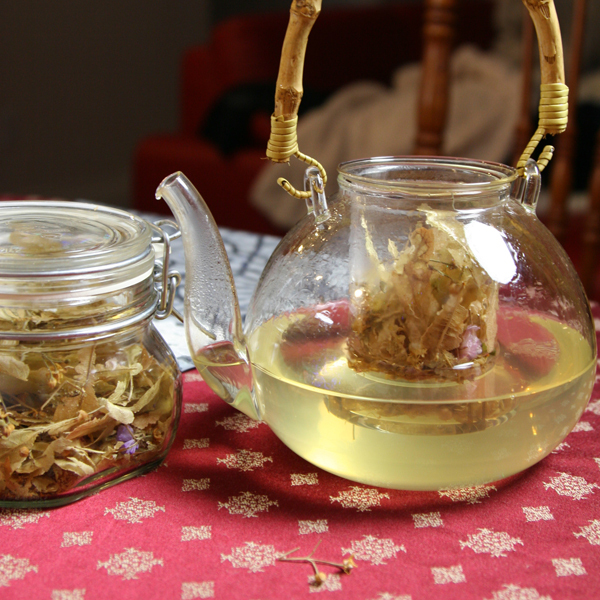 I have a sample of the April Aromatics that cost something insane like 16 euros for, as you say,a couple of ml. I like it, and the Jo Malone – which suddenly also put me in mind of the discontinued Vintage Gardenia – but there is a soapy quality to both that I would ideally like to lose. 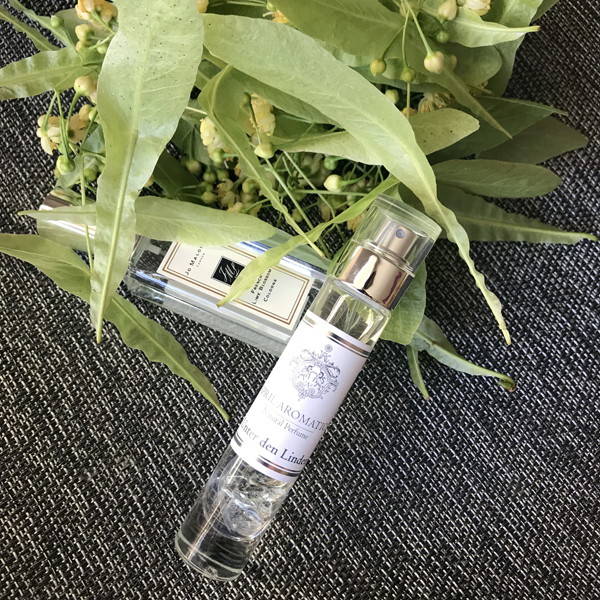 I think Ajne Printemps was my favourite linden scent, and even if I still had a decant, it might have gone off by now. My Ajne Calypso (jasmine / frangipani / vanilla) is definitely a different animal now, if not wholly off as such. I wasn’t familiar with Ajne brand before you mentioned it. I looked it up but left as soon as I read “oil” and “chakras”: I figured out it wasn’t for me. But you should find your decant and either use it up or give it a proper disposal. I thought about getting the second back-up bottle of French Lime Blossom but at the rate I’m using any perfumes it’ll probably spoil before I get to it. It was one of the reasons I decided not to get a BU bottle of Fille en Aiguilles: as much as I like it, I do not wear it often enough. But I’ll enjoy what I have left in my current bottle. I am not very familiar with linden as a note, Undina. Must explore that some more. I wonder if it grows anywhere close to where you live? Have you ever smelled the tree blossom? Nope, have never smelled the tree blossom. And not sure if it grows anywhere in Johannesburg. Will have to do some research. Thanks, Undina. One of my favorite linden scents is made by Pre de Provence. I’ve worn it for 20 years or so. I don’t know if it’s still in production. I checked their website: it doesn’t look like they have any linden perfumes, only soaps. I thought about the discontinuations and my conclusion is that it’s either because we have weird tastes, and nobody else likes these perfumes – so the less popular ones get discontinued and replaced with something new, or those that we like we like because they use better ingredients and therefore are more expensive to produce – so they are replaced by cheaper ones. 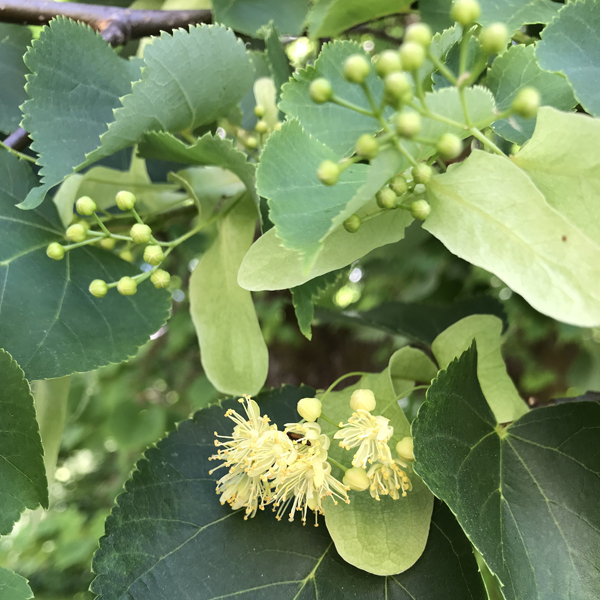 I have always wanted to know what French Lime Blossom smelled like, thanks for your post. Now I have to track down a bottle… I enjoy Tauer’s Zeta, a linden based scent. I should have written sooner! :) It’ll be harder and harder to find it now as the stock is being sold out. I hope you’ll get to try it though because FragranceNet has it for a good price. last I looked you can still get it at Norstroms online…I bet some of the other high end dept stores may have bottles floating around as well…also, when they discontinued the very first Jo Malone fragrance , Ginger & ???? (name escapes me at 6am) Blue Mercury was still selling it. Eeeks about turned bottles! I know some decants have turned into sludge but I have yet to encounter a turned bottle. I have to see if my Unter den Libden is ok as we got them at around the same time! Rusty looks very studious. I wonder what he’s plotting? I got a bottle a Nordstrom. Woo hoo! Can’t wait till it arrives. Should be perfect for summer. Yay!!! I’m glad you got it, and I hope you’ll like it. But if not, it shouldn’t be hard to swap it in a couple of months when it’s completely sold out. He wasn’t plotting any more, he was acting: the next second his paw landed on that white ribbon from the bag – so I had to rescue it from him. After I sprayed UdL several times, the smell got better – so it was probably some portion left oxidizing in the mechanism, but still now I think about using it more often.